About 2,500 years ago, Ionians in what is now western Turkey laid out the city of Priene with a grid of blocks 120 by 160 feet each. A standard residential block hosted eight attached row houses, oriented southward with the porches facing the harbor. The stalwart, adaptable row house has persisted for millennia. It has remained a favored form for architects for its simplicity and scale, an answer to a wide range of notions about what the city can and should be. In Georgian era England, Sir John Soane combined three row houses to create his infamous London museum. The row house was a building block for many American urban renewal projects, including designs by Harry Weese in Chicago, Mies van der Rohe in Detroit, and I.M. Pei in Philadelphia. In 50 pages devoted to the form in a 1964 issue, Progressive Architecture heralded the “revival of the row house” as a means of combating suburban sprawl, a spirit that was later embraced by the New Urbanist movement promoting walkable neighborhoods. In our Typecast series on the row house, we’ve charted its persistent influence in New York City, from humble beginnings as a standardized product built from pattern book plans to its dominance of large swaths of the city, forming an estimated quarter of the city’s residential stock today. For this final installment, The Architectural League’s executive director Rosalie Genevro sat down with two architects who regularly return to the drawing board to find a contemporary take on New York’s row houses. Alex Gorlin of Alexander Gorlin Architects became interested in the origins of the form after designing a series of townhouses in the New Urbanist community of Seaside, Florida, in the 1990s, authoring the book The New American Townhouse and a sequel. In New York City, he’s completed renovations and additions for tony Manhattan row houses as well as inaugurated a new era of the income-restricted Nehemiah row houses in Brooklyn. Jeff Murphy of Murphy Burnham & Buttrick Architects has found the bones of New York City’s old row houses to support new residences, schools, offices, and other functions. He also designed 13 ground-up row houses in the Bronx for Habitat for Humanity. Together, the three discuss the challenges and possibilities of arranging the row house’s innards, the delight of a row house block, and the future for the form in New York City. What are the most difficult design issues with row houses? How much do they have to do with the restrictions of the narrow width? I would say light in space. When we design townhouses it’s all about light. With the exception of our Bronx Habitat for Humanity project, we’ve mostly designed townhouse renovations, both residential and for institutions. Narrow townhouses that are three, four, or five stories can be very dark. How do you open up light at the front and back? How do you bring it in from the top? Then, how do you let that light bounce around the core of the house, making it feel larger and more open? We’ve basically done the same thing in all of our residential projects: create big rooms that are the width of the house. Going wall-to-wall is one way that we can create a more gracious feel and spread natural light. Historically in New York, the width of lots for row houses was 28 feet. As land became more expensive, lot sizes went down to 25, 20, and then as narrow as twelve feet in the Village. The first phases of the Nehemiah affordable row houses, before I got involved, were 16 feet wide. I convinced them to make the houses 20 feet wide, which is, I think, the minimum to do two side-by-side bedrooms in the back. Modular houses are usually 16 feet wide because that’s the limitation for bringing them over the bridges into the city, but since these were built in the Brooklyn Navy Yard and are internal to the city, the limit for the width on a truck was 20 feet. For the three-story Nehemiah houses, the renter has the garden level and the owner is on the upper two floors. There’s a spiral stair from the second floor into the garden, so the renter on the first level does not have access to the garden but the owner on the top two floors does. Each unit has its own door, providing everyone the dignity of their own entrance. That’s of great interest because one significant thing in considering whether the row house is a viable, productive, efficient form going forward is whether it can house more than one household. Like you said, one common scenario is to have just a basement apartment so that you’re not sharing the entry or circulation space. In addition, there are row house areas—particularly in the Bronx, Brooklyn, and Queens—where people are able to build wealth using their house by having an income-producing rental unit. In our Habitat houses, we left the basements undone so that the owners could come in with sweat equity and build that space out themselves, to rent it out or accommodate extended family. That was also the calculus in our own brownstone, because we have a rental unit in the basement. Is it possible to achieve enough density to make it a viable form to use for the future, or are we done building row houses? I think it depends on the context. For large open sites, there are better uses of the land. To restitch a neighborhood, a row house would make sense. For instance, in our studies for a master plan for Brownsville, Brooklyn, we were reurbanizing the site by bringing streets back, creating retail, and filling in certain sites. I think there a row house would be a very good idea because it’s a lower scale building type, mediating between the street and the towers. Not too many developers are going to leave FAR (floor area ratio) on the table. If the FAR limits what you can do on that site, I would say absolutely. But if not, then I would imagine whoever’s building there is going to try and max out that site. Turning to the streetscape, how do you site the individual houses and configure the blocks? The original Nehemiah houses had front yard parking and residents added huge gates, which was very off-putting. I convinced Nehemiah to bring the houses forward to the street, making it more like a traditional New York row house block, and to add a back alley. The alley does not work in Manhattan because the blocks are only 200 feet wide. This context is more like where I grew up in Rego Park, Queens, where there are larger blocks that allow for rear access. In the Bronx, Habitat was not overly concerned about the urbanistic opportunities of the site, which is just down from the Third Avenue Bridge not far from Yankee Stadium. The land was cheap and they wanted to maximize units. Our project was a critique of a lot of the single-family buildings that were built in that neighborhood, which also commandeered the front yard for a car. Some of those houses were only two stories high. Our effort involved making it a little denser and to give the front yard back to the street. The Habitat houses also had really great backyards, and kids were playing back there, but that was because there was a lot of sun and not big buildings behind the house. I think that one of the challenges of row house design is to make that yard into something that is enjoyable. In some cases, it actually requires getting off of that ground level and a little higher up to enjoy it. A rear yard can also can be quite a fish bowl. How do you create privacy and make it so that you want to be hanging out back there in a chair with a beer in your hand and a friend? Have you been back to observe whether pulling the houses forward to the street, to the lot line, has affected the way that the streets are used? It was an emotionally moving experience to walk through the neighborhood and see the sense of community, embodying Jane Jacobs’s concept of “eyes on the street.” Often if you just open things up and create a sense of community, people will watch over each other. There are no fences at Spring Creek Nehemiah. People have gardens with flowers in the front. It’s a counterpoint to the whole idea that you have to protect yourself with gates and fences. That was a big deal at our Habitat project also. We did use fences, but we included a little bench and planters, and the owners planted out their front yards. I’ve gone back and the residents have maintained the yards and gardens. There’s activity and a real stoop life. The stoop just can’t be overrated. It’s an amazing thing. It’s a mediating element between the public and the private. That mediating element or transitional space is also important in the interior, moving from the entry into the truly private realm. In my experience in New York row houses, you often immediately walk into the family’s private space, such as the dining area or a living area. How do you handle that transitional space? In my own Harlem brownstone you enter into a vestibule, which I feel is essential to making a private transition from the street. Even in our Habitat houses we have a little vestibule. It takes a bite out of the living space, but it’s necessary, in my view. I think that’s always an issue. The traditional row house always had a real vestibule with double doors, but now the loft concept has infected the row house. In the Nehemiah houses, we left it up to the owner’s decisions about furniture—they could create a kind of vestibule out of bookshelves or other movable objects. It’s a give and take really. How do you handle the vertical circulation then? That’s always a challenge. I’ve seen it done all different ways. In some cases, we put the staircase in the back. For New York University’s Abu Dhabi Center on Washington Square Park, we actually used an oversized stair in the back as a light well to bring light into the core of the building. More times than not if we redesign or build a stair, we push it to one side and make a light well around it with a skylight source at the top. I think the challenge with multifamily row houses is that you lose so much circulation space. On West 120th and 121st Streets, near where I live, there’s a very clever development that uses multiple entries to minimize the internal stairs. The row houses each have a very high stoop, which allows access to two apartments at grade and two apartments from the stoop. I think that’s a much more interesting, and probably more efficient, way of accessing multiple units. With multi-unit row houses, we generally lose three-and-a-half feet of living space to circulation. That’s a lot multiplied over five floors. To move to how people want to live now and household type: The city is moving, inexorably it seems, to more and more single person households. Everybody wants to live by themselves. So if you wanted to put as many single person households as you could into this box, how would you do that? I would do back-to-back studios to fit ten apartments per building. They both would have full light and air, although just on one side. It’s basically doing what they did when these were all single-room occupancy units, where there was a front unit and there was a back unit and there’s some shared stuff in the middle. HPD (Department of Housing Preservation and Development) has been exploring that with the micro-unit. I think sharing is a big issue here. What parts of the house can and will people share? There are limits by code that say that everyone must have a kitchen and a bathroom. Shifting those regulations has been a big discussion for many years, led by the CHPC (Citizens Housing and Planning Council). Can you build housing that allows for shared kitchen facilities? I don’t think that’s been resolved really. The micro-units piloted recently are basically the same size as the supportive housing that we’ve built, like our 350-square-foot units for Breaking Ground. In a way, supportive housing could be the model for micro-units, with common facilities on the ground floor. With supportive housing those are mostly social services, but there are also common rooms, gymnasiums, a common garden. That same strategy could be adapted to more expensive apartments. Yet then again you’re doing the same thing: You’re gentrifying as opposed to creating more affordability. I question whether a row house is really a viable vehicle for solving the housing crisis. I can put an eight-story apartment building on a site, which is what they’re doing all over my neighborhood now, and pack a lot more people in. I think the row house worked a lot more when there were whole blocks of the Bronx that needed people to live there to turn those neighborhoods around. Maybe out in underbuilt parts of Queens or the Bronx it’s still viable, but I would imagine that even affordable developers aren’t as much into the single-family strategy but more into multifamily housing. The conversation is moving toward the whole issue of how you live in a row house. My experience designing super high-end townhouses is that you can have too much house—families live vertically across five floors and they never see their teenage kid. You have to call them on the phone to tell them to come down for dinner. In the houses we design, we purposefully try to compact the living into three or four floors: There’s a floor for living space, a couple of floors of bedrooms, and maybe you use the basement for a family room. We’re renovating a townhouse on the Upper West Side that’s now seven stories, including the basement, with an elevator. It’s been converted from a multifamily to a single-family. I think, just as the rest of society, things are going in the complete extremes. The older row houses are turned into mansions, while the rest are affordable housing. There are no middle-class row houses. To expand on the dichotomy between the wealthy and the affordable: now one townhouse is not enough. Madonna bought three and joined them together. What is it that you can do with a row house, without permanently changing the form, that makes it adaptable? What’s the essence of its adaptability? It’s a box. That’s one of Le Corbusier’s four types. 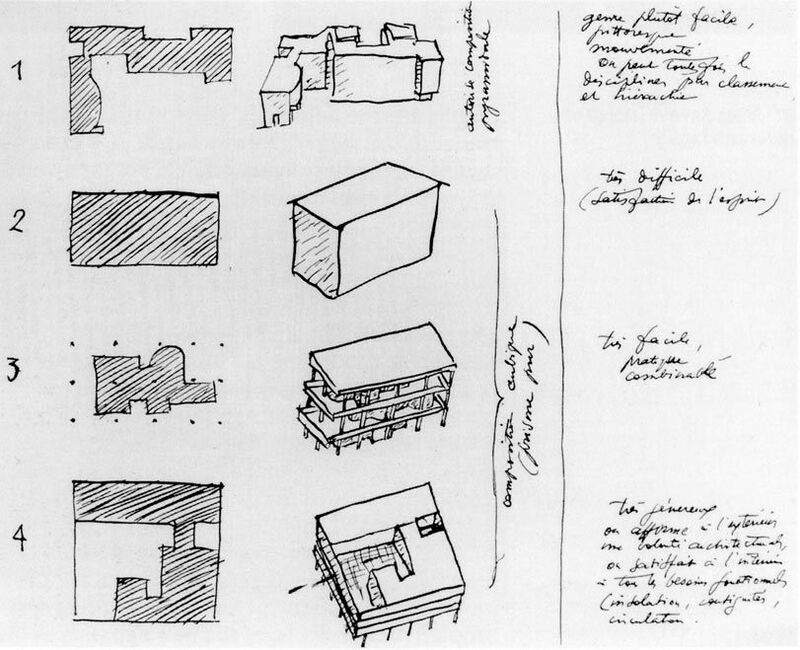 For Corbusier, the box was the most difficult form because it was the most restrictive. But then again, it allows for so many different interpretations within those restrictions. In the end, I think the row house’s charm is the human scale. Its scale is limited by the height that people can comfortably walk up, which is around five stories. I totally agree with that. There is no comparison between the feel of row house streets and being in Midtown. We’ve done schools, institutions, retail, single-family residential, and multifamily residential in this form and it lends itself well to all of those. In some cases, we try to keep the bones so if it wants to go back to the house that it was designed as 120 years ago it can. In other cases, we go in and we blow everything out, like in our recent passive house project. We took everything out of it and then rebuilt it. In my particular area of Harlem, the row houses have seen many lives. My own house was at one point a convent, then subdivided to have six or seven units in it, and then converted back to a single-family home again. The previous owner’s grandfather had a doctor’s office in the basement. This typology is so interesting because it really lends itself to doing just about anything with it. Rosalie Genevro is an architectural historian and urbanist who has led The Architectural League as Executive Director since 1985, pursuing the Leagueʼs mission of nurturing excellence and stimulating discussion and debate on issues in architecture, design, and urbanism. Alexander Gorlin founded Alexander Gorlin Architects in 1987. His portfolio ranges from high-end residences to affordable housing, places of worship to educational institutions. In 2016, his firm completed 301 affordable row houses in East New York, Brooklyn, for the Nehemiah Housing Development Fund. He holds a Master in Architecture degree from the Yale School of Architecture. Gorlin is a recipient of the Rome Prize in Architecture and is a member of the AIA College of Fellows. Jeffrey Murphy is a founding Partner of Murphy Burnham & Buttrick Architects, where he has led cultural, civic, and educational projects for a diverse group of clients, including Habitat for Humanity, Princeton University, UNICEF Innovations Lab, Ethical Culture Fieldston School, and the Trustees of St. Patrick’s Cathedral. He holds a Master in Architecture degree from the Harvard Graduate School of Design and is a member of the AIA College of Fellows. For our Typecast series, we look at the row house as costume, backdrop, and even a character in its own right in popular culture.